The Emirates Lions have named a strong squad to head to Argentina to face the Jaguares in their opening Vodacom Super Rugby match in Buenos Aires on Saturday evening. The Lions haven’t won in Argentina in three meetings and will be hoping they will have the edge when they get their campaign started. Warren Whiteley will lead the team that includes a eight Springboks, and another on the bench, indicating they've certainly picked their strongest available team. Flanker Kwagga Smith and lock and new recruit Stephan Lewies are among the players not considered, with Smith nursing a calf strain while Lewies has a minor pectoral tear. 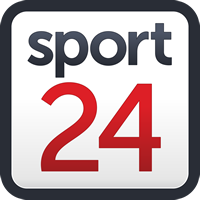 Others not considered are Cyle Brink, Robbie Coetzee, Johannes Jonker and Ross Cronje, who are all recovering from long-term injuries. Emirates Lions: Andries Coetzee, Courntall Skosan, Lionel Mapoe, Harold Vorster, Aphiwe Dyantyi, Elton Jantjies, Nic Groom, Warren Whiteley (capt), Hacjivah Dayimani, Marnus Schoeman, Marvin Orie, Rhyno Herbst, Carlu Sadie, Malcolm Marx, Dylan Smith. Reserves: Pieter Jansen, Frans van Wyk, Jacobie Adriaanse, Ruan Vermaak, Robert Kruger, Gianni Lombard/Dillon Smit, Wandisile Simelane, Ruan Combrinck.